The cruel captain of a schooner dominates the shipwreck victims he picks up. Based off of Jack Londons classic novel, "The Sea Wolf." 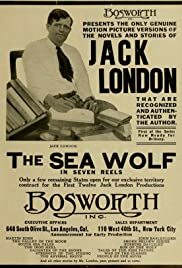 Jack London's "The Sea Wolf" is transported from sea to land in this intriguing western. The ruthless boss of a mining camp meets his match when fugitives from justice cross his path.